The Kapil Sharma Show doesn't seem to tire itself of the controversies it attracts — now, a comedian in the show has been accused of stealing a joke from another stand-up comic. Delhi-based stand-up comic, Abijit Ganguly has accused Kiku Sharda, and as an extension The Kapil Sharma Show, of lifting one of his more popular jokes. In the post, he furthers on his joke, which talks about how all the most successful bowlers — right from Kapil Dev to Zaheer Khan — have been co-incidentally younger brothers. His analogy is that older brothers have never let the younger ones bat when they used to play cricket as kids. In The Kapil Sharma Show, the joke has been used off-handedly by Kiku Sharda, even with the same examples of Kapil Dev and Zaheer Khan. 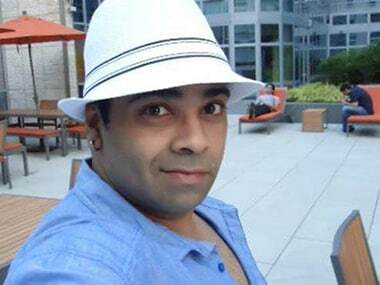 Kiku Sharda, who had to take the brunt of the barbs as he was the one told the joke on the show. Kiku is quick to defend himself and his team. He is to have told The Quint, "Every stand-up comedian who has worked on television knows that the jokes said by an actor on stage are not his. On The Kapil Sharma Show we have a team of 7-8 writers. We all sit together mulling over ideas, throwing jokes at one another, while one person collects and stores all our ideas on a laptop. It was during one such jamming session that someone came up with a joke about how all fast bowlers are younger siblings because their elder brothers never allow them to bat. I loved the joke and we decided to to use it on the show. How was I to know that someone had cracked that joke already?" 1Kiku Sharda responds to plagiarism charges, "How was I to know that someone had cracked that joke already?"